The steps below is only applicable for YouTube before version 2.00.18 and not applicable for version 2.00.18 and above. 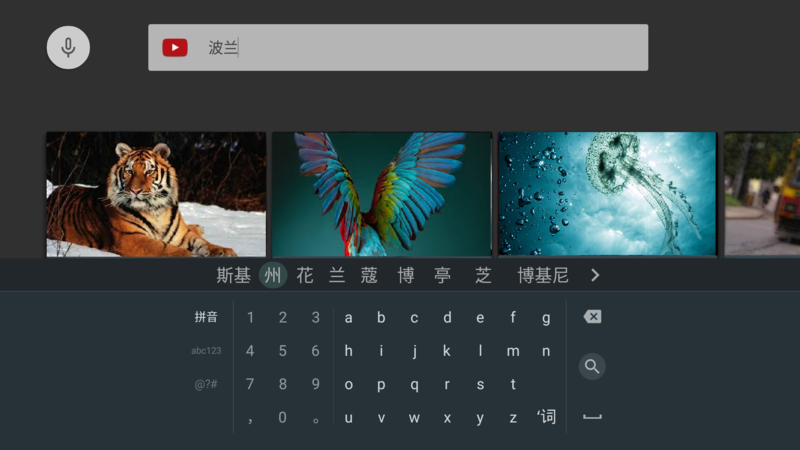 The following shows you the steps how to use Google Pinyin Input keyboard. In order to use Google Pinyin Input keyboard, you will need to set Google Pinyin Input as default keyboard . 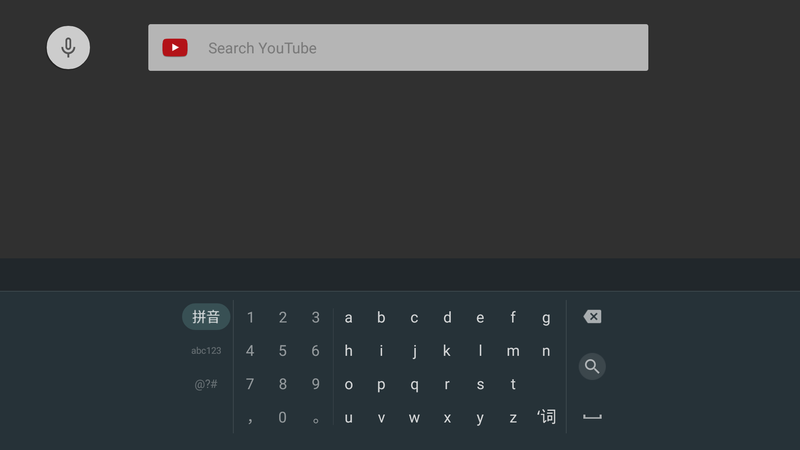 Follow the steps below to use Google Pinyin Input keyboard with YouTube. Press HOME button on the remote to go Home menu. 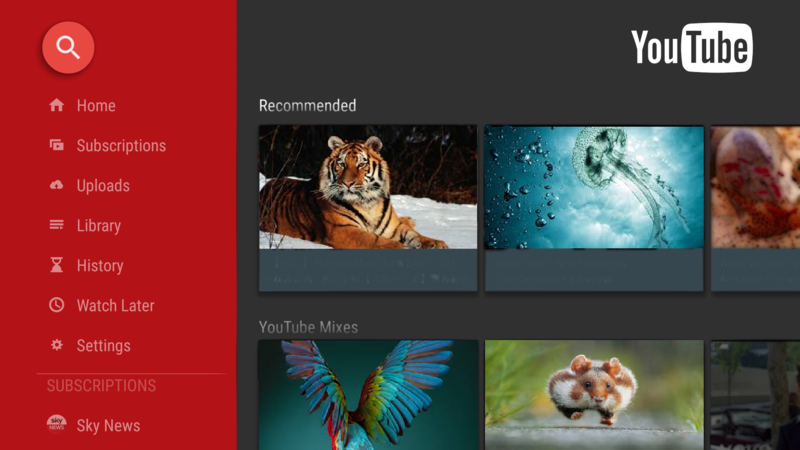 Scroll down to the Apps shelf and select YouTube. Select the search button on the top left. 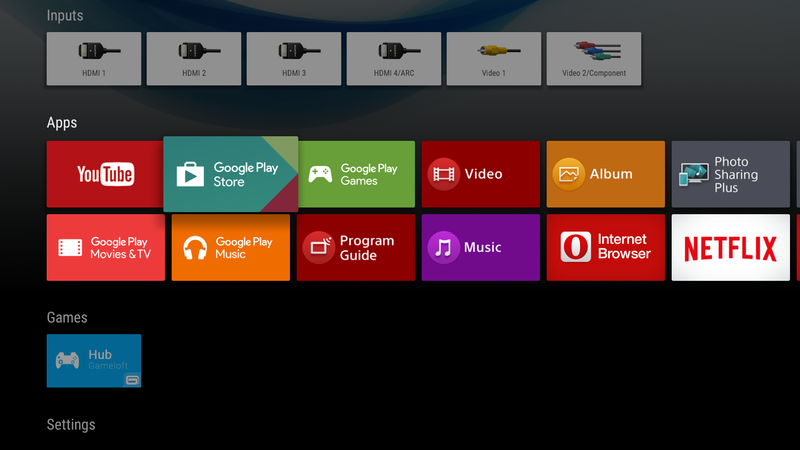 The onscreen keyboard will appear on the TV. The onscreen keyboard will have options. This will allow you to enter Pin Yin. Any character that you enter in this keyboard will be taken as Pinyin and it will then translate to related Chinese character. The will allow you to enter English text and allow you to enter special characters.